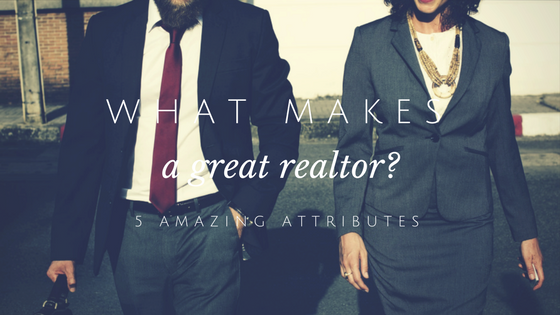 What Makes a Great Realtor? 5 Amazing Attributes. So you want to buy or sell a home in today’s competitive market? Calling a realtor is your ideal first step. But how can you decide who to hire? Here are five characteristics you want to consider looking for. First, do you click with them? Having a realtor is a commitment, so you want to ensure that you connect to their personality, feel you can trust them and know that they have your best interests at heart as you undergo the often challenging process of bidding on homes or dealing with prospective buyers. As with any relationship, how you get along matters! Second, do they have a good reputation? Even if they are new realtors, they will have encountered clients and other professionals in the business who can vouch for their reliability and success rate. Find out through word of mouth, reviews and internet research if you want to put your home or hunt in their hands. Thirdly, do they appear to have the energy to attend to your needs as you quest for a buyer or hope for a new home? Buying or selling a house is time consuming and requires a realtor who is both patient and peppy to deal with all the paperwork, client interaction and other aspects of moving a property in today’s active marketplace. Fourth, do they have an eye? Realtors will be staging your home so it looks its best for prospective buyers or presenting a place to you to consider purchasing. They need to attend to detail, both inside and out, and stay current with visual trends in paint, furniture, landscaping and other modes of displaying a property. A great realtor will offer you aesthetic moxy! Fifth, do they have the ability to negotiate with both fairness and tenacity? In other words, are they skilled at showing prospective buyers why this home fills the bill, honestly and with persistence? With their knowledge of the market, the particular area, buyer and seller trends and other aspects of the business, a proficient realtor will make it hard for the client to turn down the property he’s offering. Great realtors aren’t hard to come by in terms of professionalism but, for you as the buyer or seller, their personality is likely to be the final determinant in whether you hire them.